The salmon fishing venue selection is based on the month of the salmon fishing season which plays an important part of getting things precisely right for your salmon fishing event day. 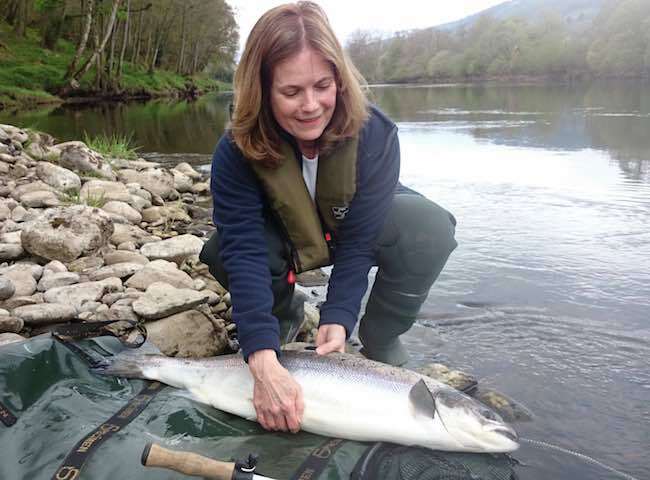 Salmon fishing for ladies has become more popular over the last decade and more often than not a lady salmon fisher will be successful as the natural tempo & ambiance of the salmon river suits them well. Here's a lovely bright light Spring shot from the River Tay which was taken yesterday. 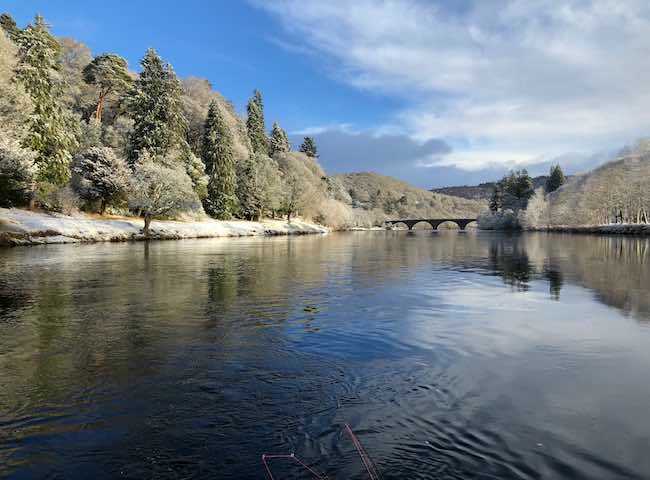 This is truly an exceptional time of the Scottish salmon fishing season for Winter beauty. 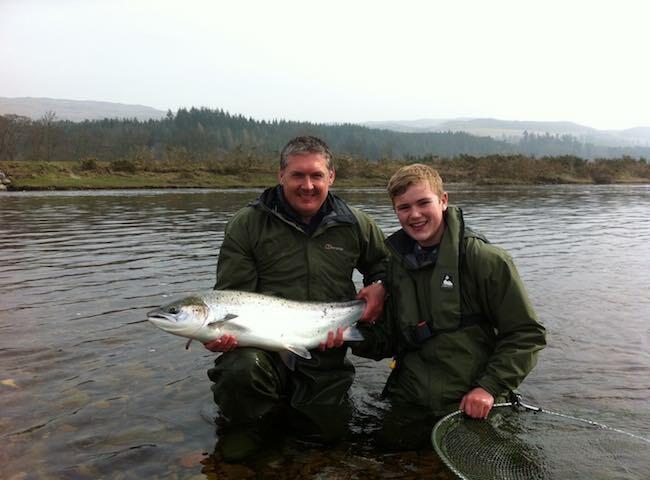 Here's a shot of another heavyweight salmon that was caught on the River Tay during the month of March. This was one of two identical salmon landed by this fortunate guest that particular morning. 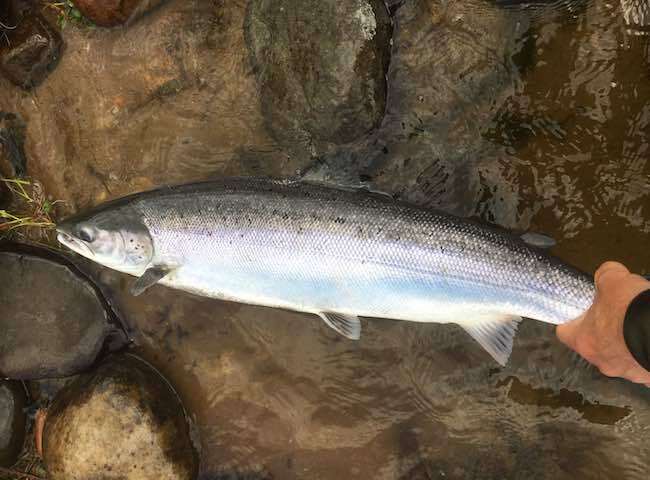 This perfect fresh run Spring salmon made this new salmon angler's day on his first attempt at fly fishing for salmon. Follow this link to see the salmon fight action. 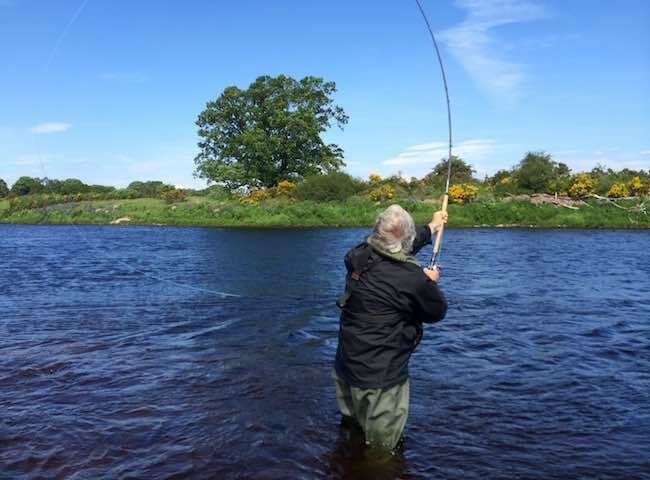 All River Tay salmon fishing event days commence with some effective fly fishing tuition delivered by the Tay's top performing professional salmon fishing guides to get everyone off the starting block quickly. 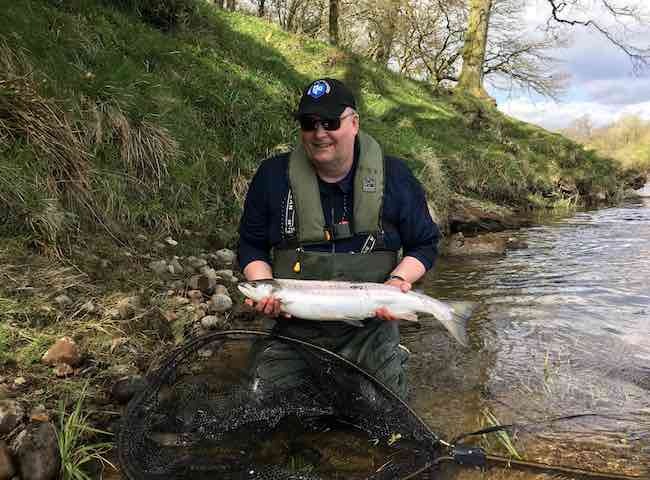 Treat you key employees to a Scottish salmon fishing adventure in 2018 and place one of these fine salmon firmly in your memory banks which is a truly amazing experience. Here's a shot of a successful salmon fishing event day guest. The chances of connecting with salmon like these are high if you follow our professional advice on location and the timing of your day. 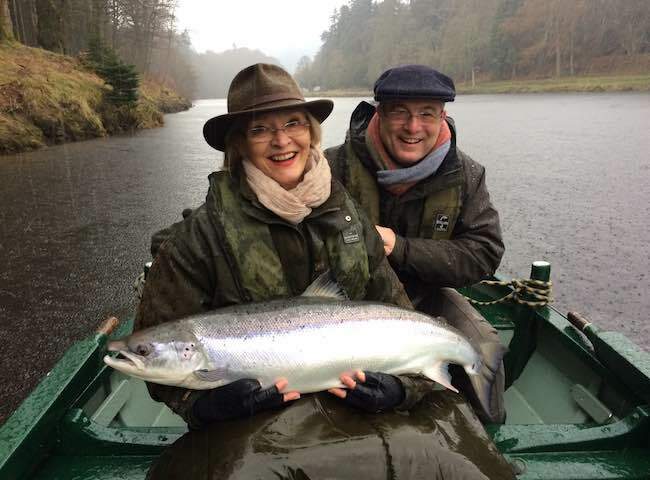 Our salmon fishing event lady guests always do well on the salmon river as was the case here with this fine 16lbs River Tay salmon which she caught within 5 minutes of starting. 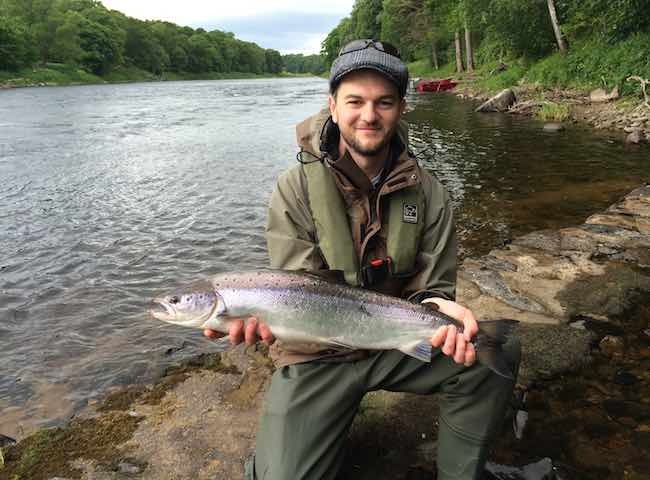 This happy guest hooked this perfect River Tay salmon within minutes after a very brief yet effective casting lesson on his very first days salmon fishing. 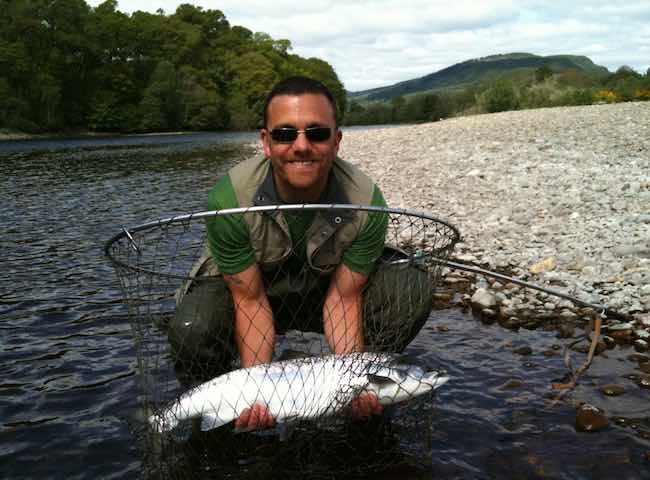 This is the magic of Scottish salmon fishing. 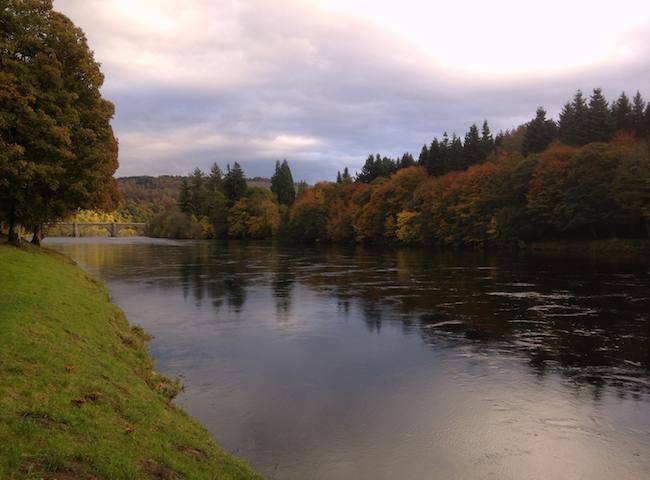 Here's one of the best salmon fishing event venues on the entire River Tay system. 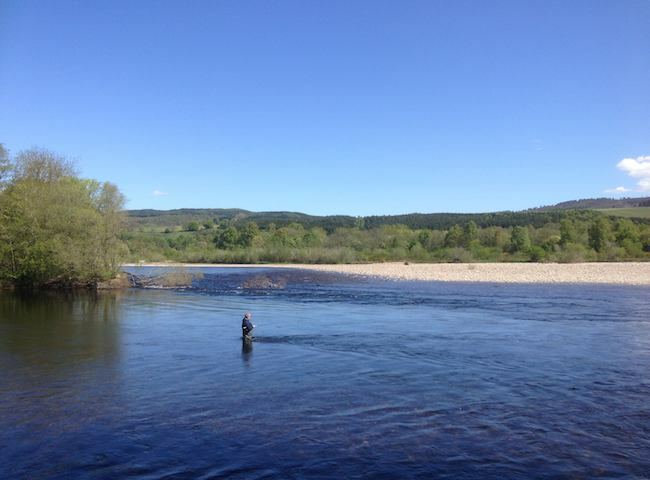 The Dunkeld House salmon fishing beat is excellent salmon water with a lovely hotel only yards from the river.